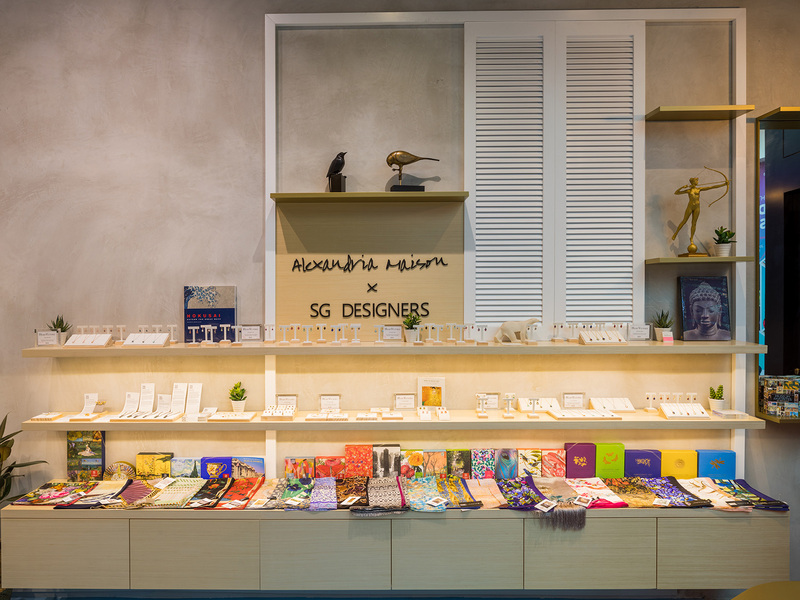 Alexandria Maison Singapore is a local jewellery store that offers a curated showcase of interesting local and international jewellery creations from around the world. 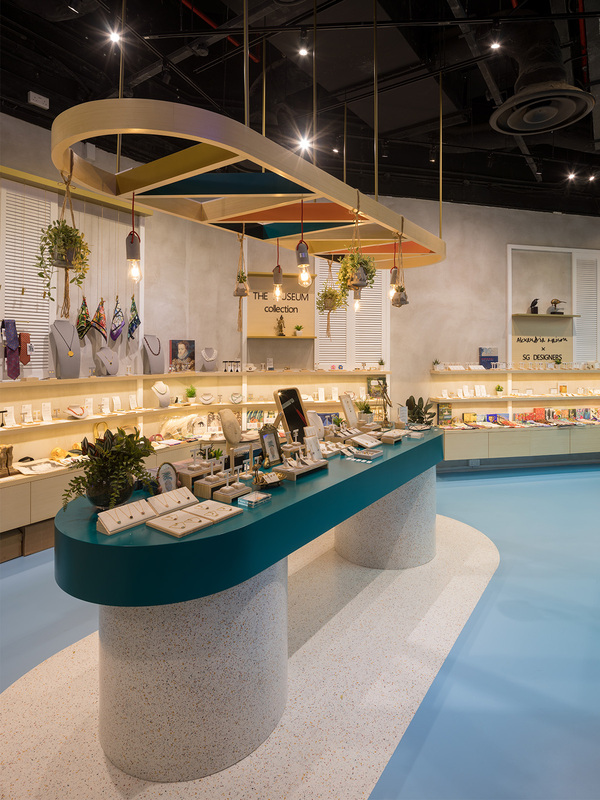 Their flagship store in Esplanade – Theatres by the Bay, is given a new lease of life after a make over and re-branding carried out by TA.LE. Alexandria Maison envisioned to be a lifestyle shop that offers designers’ product, i.e. jewellery and personal accessories, that is of high quality and often understated. Their products appeal to people who appreciate the fine quality of life without being high-profile. The design style of the shop takes on this approach to create a ‘home’ for these products. The shop feels like a personal walk-in wardrobe displaying the patron’s own collection. 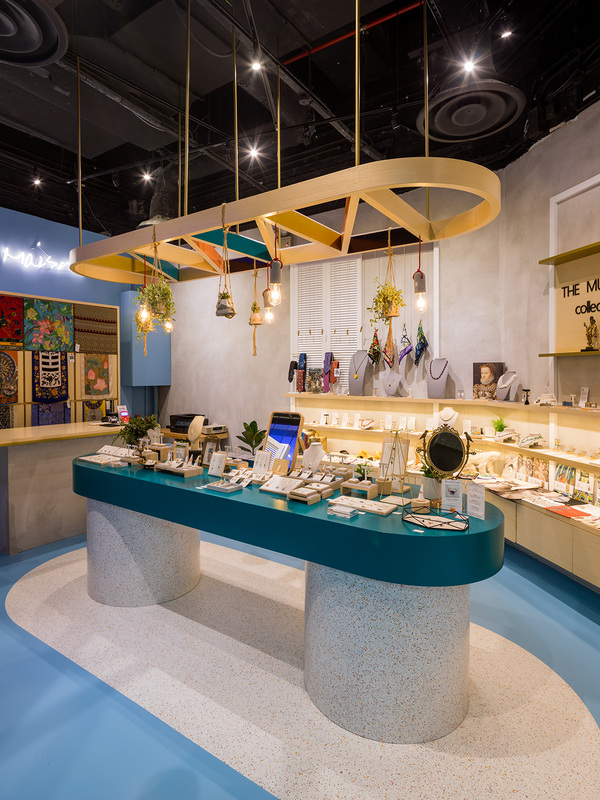 Once entered into the shop, one will encounter an island display counter in the centre made by Terrazzo – a traditional material that brings nostalgia to the mind. The shape of the counter resembles traditional stone stools which were commonly found in the 70s. The island counter, with a pastel blue colour, anchors the space and encourages one to move around it, exploring the accessories on display. Above the counter is a hanging frame with decorative lights and indoor plants, giving a sense of intimacy as one check out the accessories in greater details. 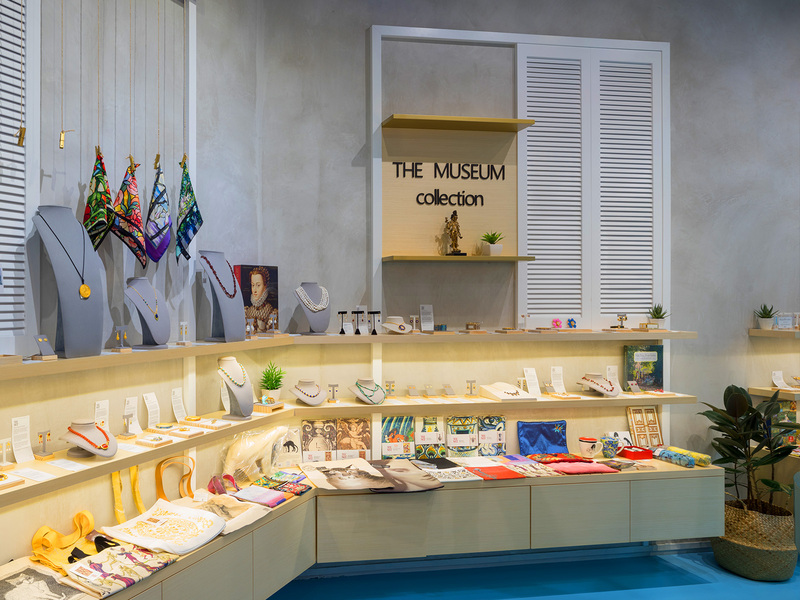 Moving along the concrete rendered wall, a series of wall display shelves houses the Singapore Designers’ and Museum collection of jewellery and accessories. The display shelves, in light wood and white colour, creates a simple backdrop to allow the products to be showcase in their best form. A series of rectangular frames and venetian windows reinforced the sense of homeliness. At the end of the shop is a Scarf Wall, just behind the shop’s point of sales counter. 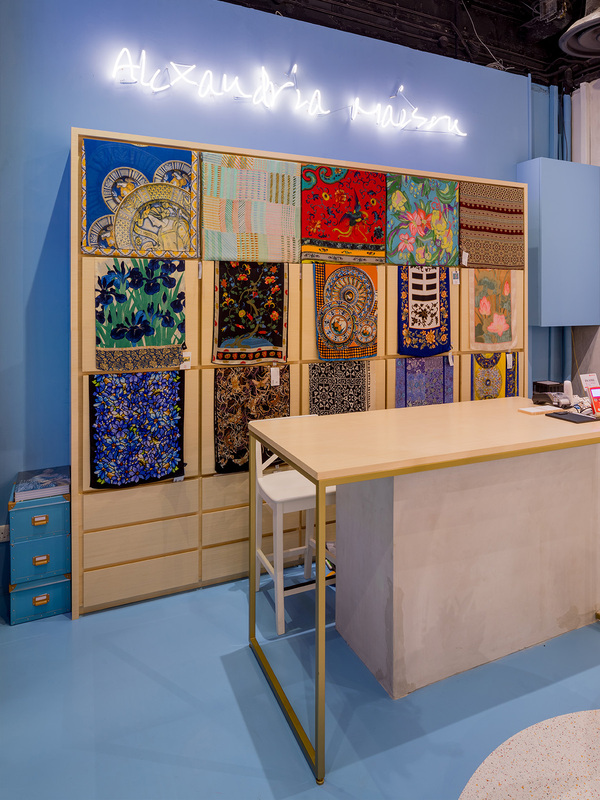 The Scarf wall is a cabinet designed to double up as a display for the beautiful scarfs carried by Alexandria Maison. 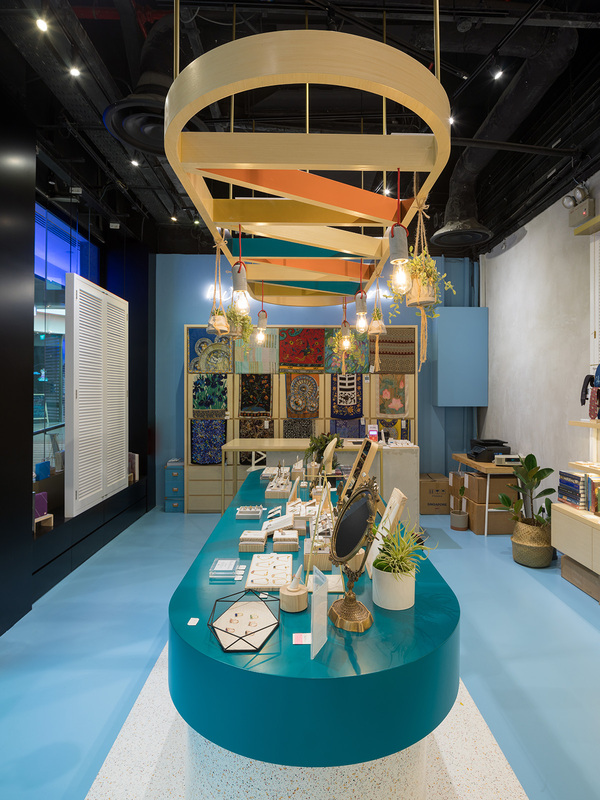 This scarf wall becomes a mural for the patron’s eye while transacting at the counter, encouraging them to make a final purchase before leaving the shop.